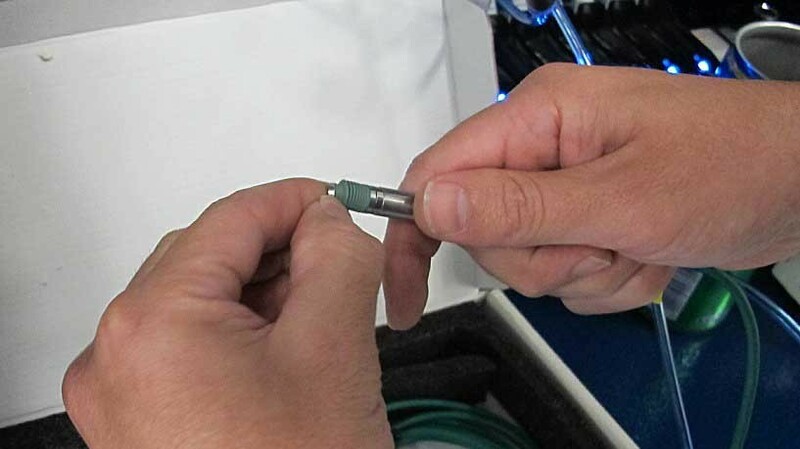 From time to time the probe will need to have the probe boot replaced if a leak or tear has been detected. For this task you will need a pair of needle nose pliers and a new boot. 1. Make sure the probe is retracted. 2. 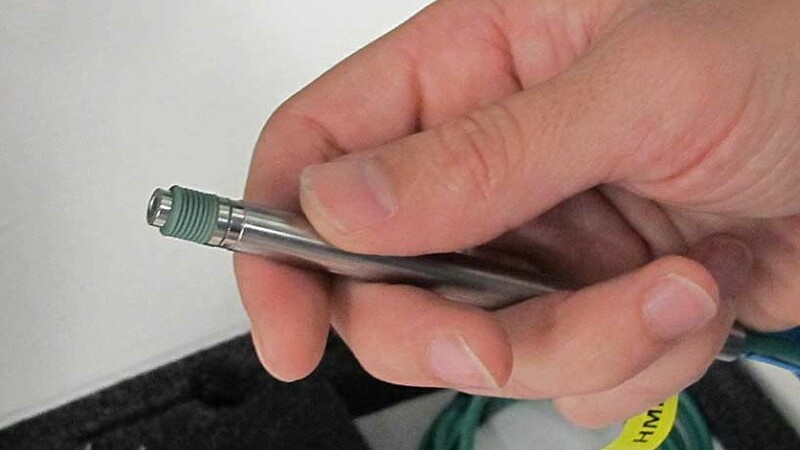 Use pliers to loosen the probe tip and then remove the tip. 3. Remove the top ring. 4. 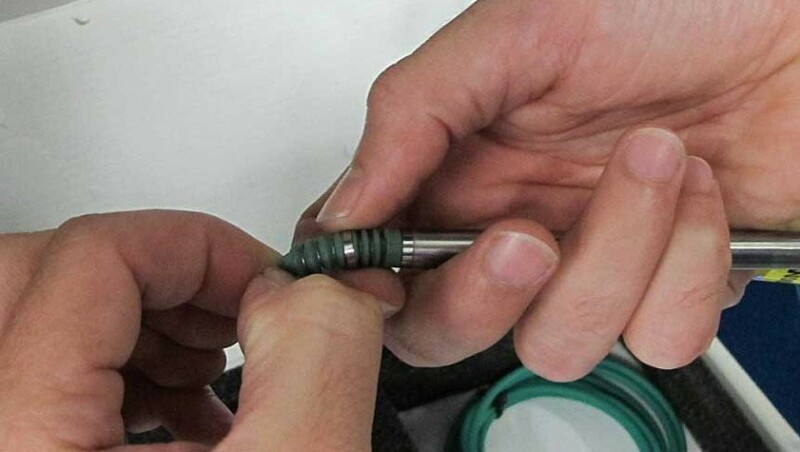 Remove the bottom ring and then take off the probe boot. 5. Put the new boot on. 6. 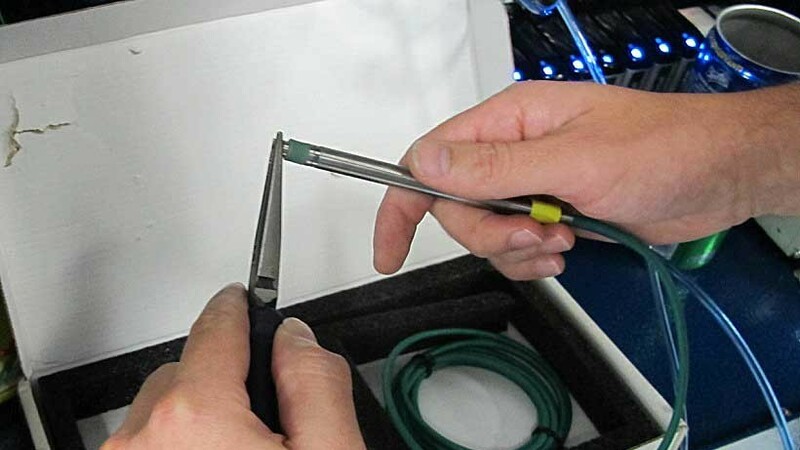 Extend the probe boot with your fingers. 7. Slide the bottom ring over the boot and into position so it clamps the bottom of the probe boot to the probe. 8. Push the top of the probe boot onto the probe. 9. 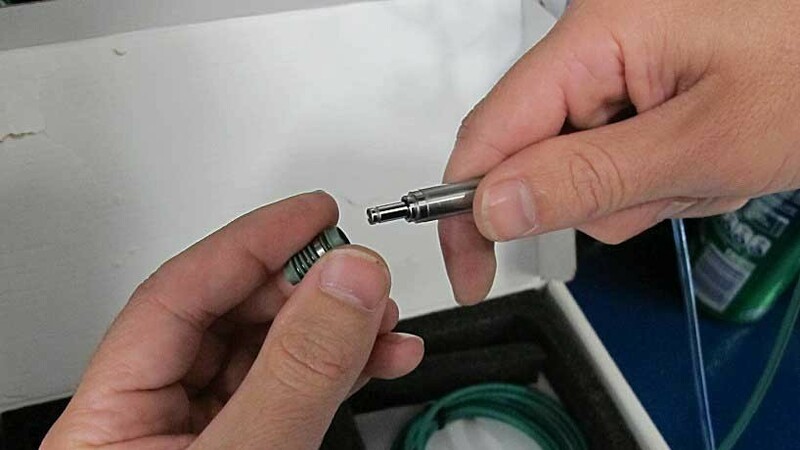 Carefully place the top ring onto the probe. 10. 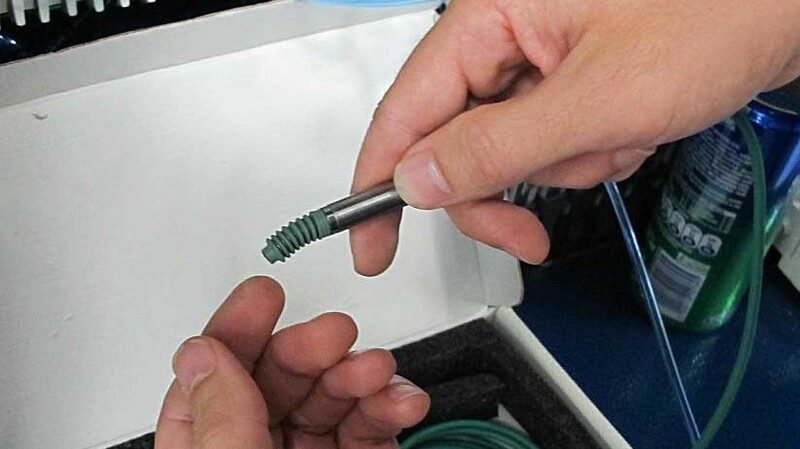 Screw the probe tip in with your fingers. 11. Use pliers to gently tighten. 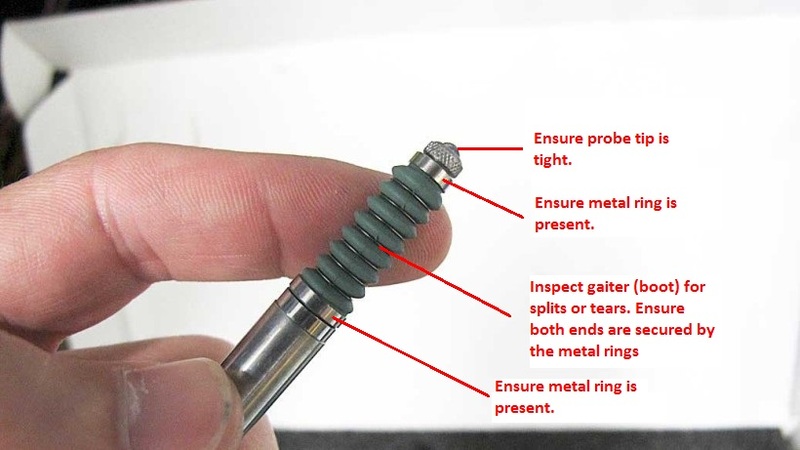 Do NOT over tighten the probe tip. 12. With the probe extended check for any air leaks from the probe boot.